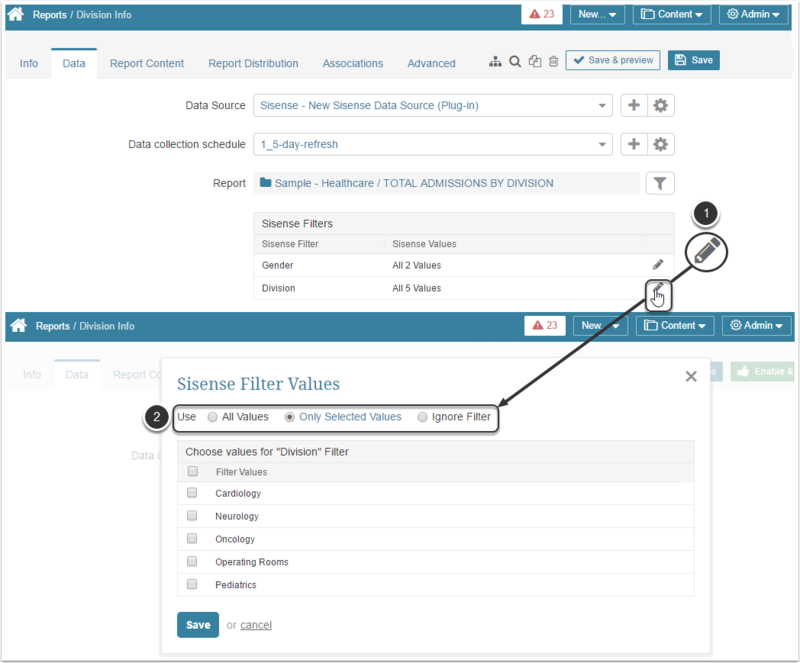 When sourcing data for Metrics, Reports, External Reports, Dimensions and Datasets from Sisense dashboard, you can pre-filter data before fetching it. This function allows focusing on the slice of data that you really need and exclude those values that are currently irrelevant for you and your research. Most of the data displayed on the Sisense Dashboards can be refined using the flexibility of filter settings. Report: Click Select Report to open the pop-up with the list of available Sisense objects that can work as a source of data. Each item in the list is represented as the path (hierarchy) to the respective report in Sisense. Find the object in the list. If you do not see the required item, try refreshing the list by clicking the Refresh icon at the upper right corner of the pop-up. Once filters are added to a Metric / Report or External Report for the first time, they are going to be automatically added to all new respective elements with the same Data Source / Report. External filters are tied to Sisense Reports, not Metric Insights' elements. This allows Filters to be reused for multiple elements (there is no need to create new Filters every time an element is created in Metric Insights). If there are more External Filters or Filter Values that you would like to use for the current element, you can always set the redundant ones to "ignore". 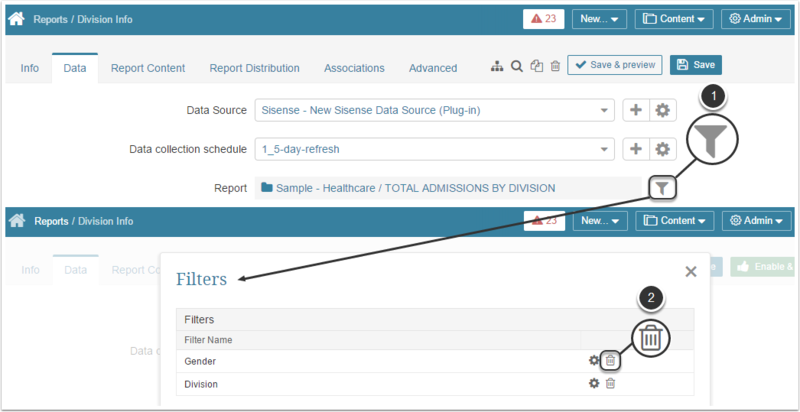 When creating a Metric / Report / External Report generated from the Sisense dashboard, after you define the Report that should serve as a source of data, you may pre-filter information that is going to be fetched. NOTE: Examples given below are taken from the Sisense Report shown at the top of the page. Filter Values: choose 'Enter Manually' and click Save at the bottom of the pop-up. Click [+ Add Value] and in the opened pop-up manually type in the name of the filter value. Save your entry. All added values should appear in the Values list. 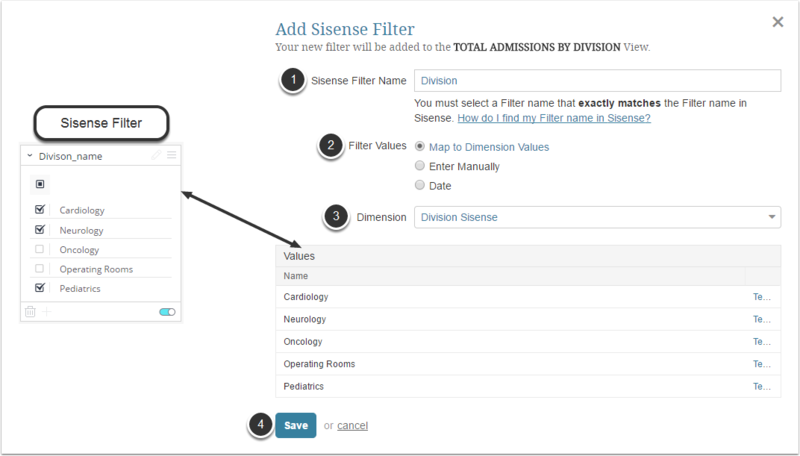 Sisense Filter Name: Define the name of the filter from QlikView. Filter Values: choose 'Map to Dimension Values'. How do I add filters to a results set from Sisense? Click the Pencil icon in the filter row to set it up. When the filter is added, you can use it for "All Values", "Only Selected Values" or ignore it. To delete some of the added filters: (1) click the Filter icon in the Report field and (2) choose the unnecessary filters. Click the Trashbin icon in the respective row. 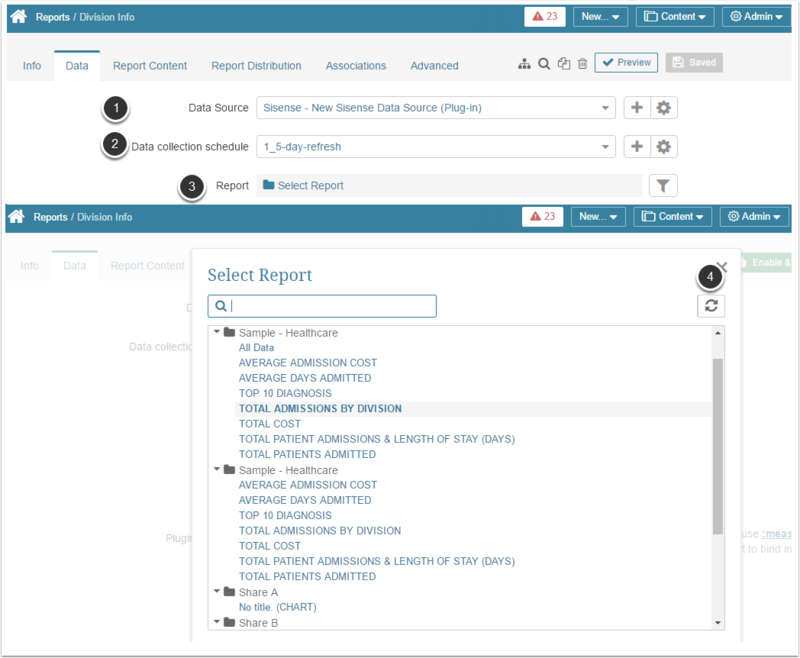 Once filters are added to Metric / Report or External Report for the first time, they are going to be automatically added to all new respective elements of the same Data Source.